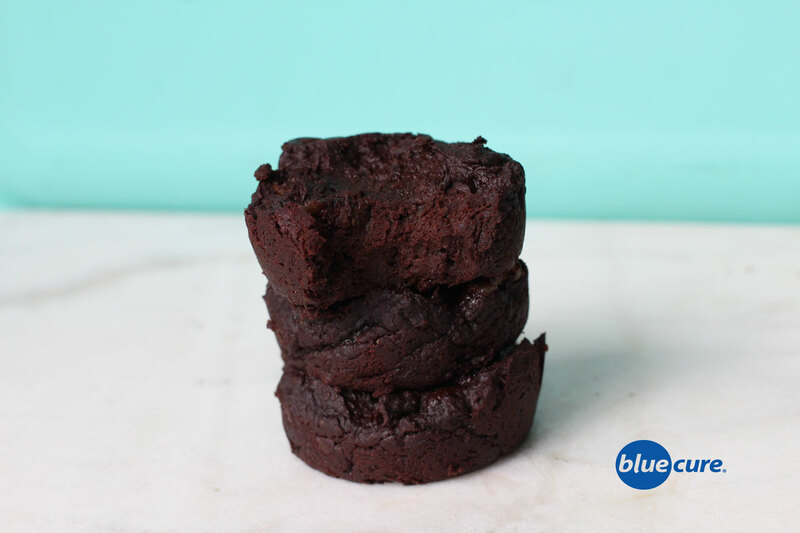 Dark, rich, and fudgy are just a few ways to describe these tasty treats! One bite into these gooey brownies and it tastes like you’ve entered a fluffy cloud of chocolaty heaven. Best of all, they are healthy! Don’t be fooled by their rich, creamy texture! These brownies are made from only the good stuff! Wash the sweet potato. Roast in the oven for ~30-40 minutes at 400F. peel of the skin and measure out 1 cup of the sweet potato flesh. In a high speed blender or food processor, combine all the ingredients. Blend until smooth. The batter will be very thick, so you may need to use a spoon or spatula to move the batter around. Add 1-2 tablespoons of water, as needed to help blend. Avoid adding too much water. Preheat the oven to 350F. Line muffin pans with parchment paper or liners for an oil free version. Otherwise, use a small amount of avocado oil to line the pan. Spoon the batter into the pan. Makes enough for ~10 brownies. Bake the brownies for 25 minutes, or until you can pierce through the brownie with a toothpick and it comes out dry. Allow the brownies to cool and then enjoy! Store leftovers in the fridge.